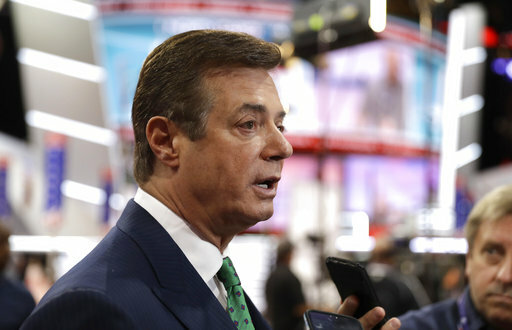 WASHINGTON (AP) — U.S. Treasury Department agents have recently obtained information about offshore financial transactions involving President Donald Trump’s former campaign chairman, Paul Manafort, as part of a federal anti-corruption probe into his work in Eastern Europe, The Associated Press has learned. The agency is a part of an international network of so-called financial intelligence units that share information with each other in money laundering and terrorism financing investigations. It’s work has been critical in helping officials piece money trails together and identify leads for criminal investigators. Hadjicostis reported from Nicosia, Cyprus. Associated Press writers Jeff Horwitz and Chad Day contributed to this report from Washington, and Nataliya Vasilyeva contributed to this report from Moscow and Kyiv.